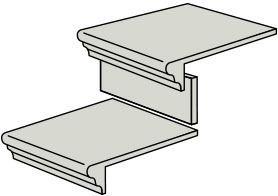 Diverse moulded parts, frostproof and fully decorated edge. 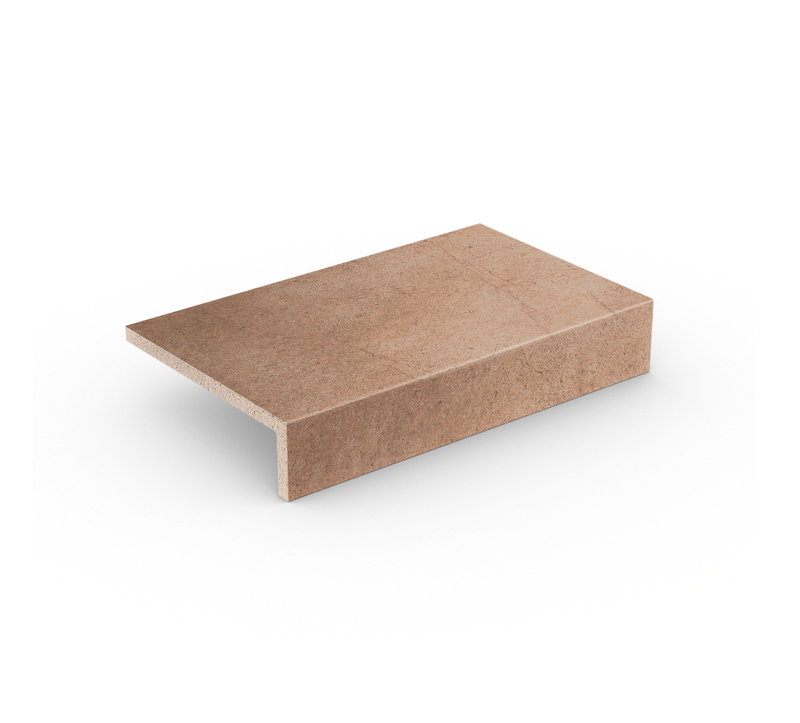 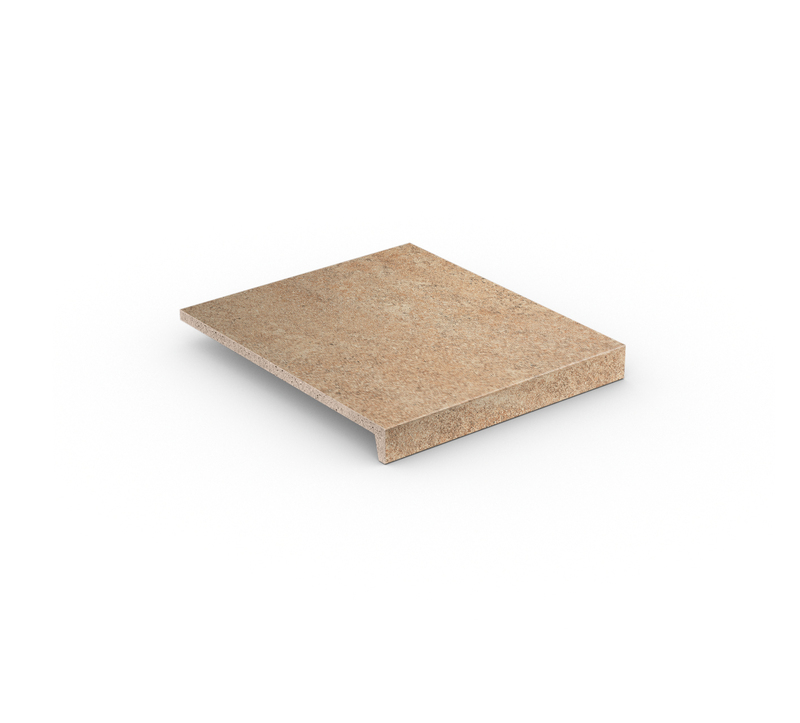 Perfect utilization fulfilment for surfaces, stair tread tiles and edge pieces. From the classic split tile to oversize elements and innovative balcony edgings. Showing edges with matured ceramic solutions. The new Florentine generation. 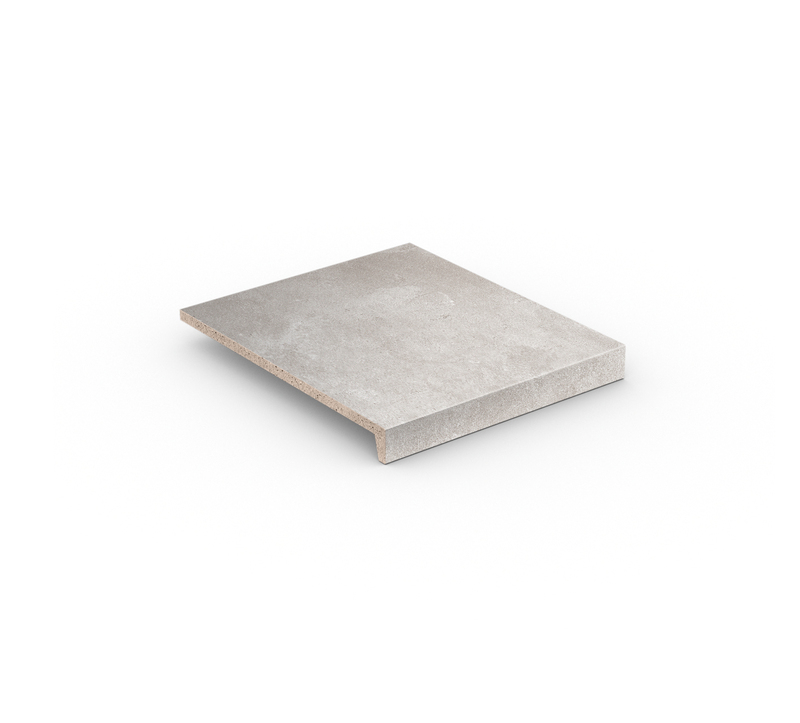 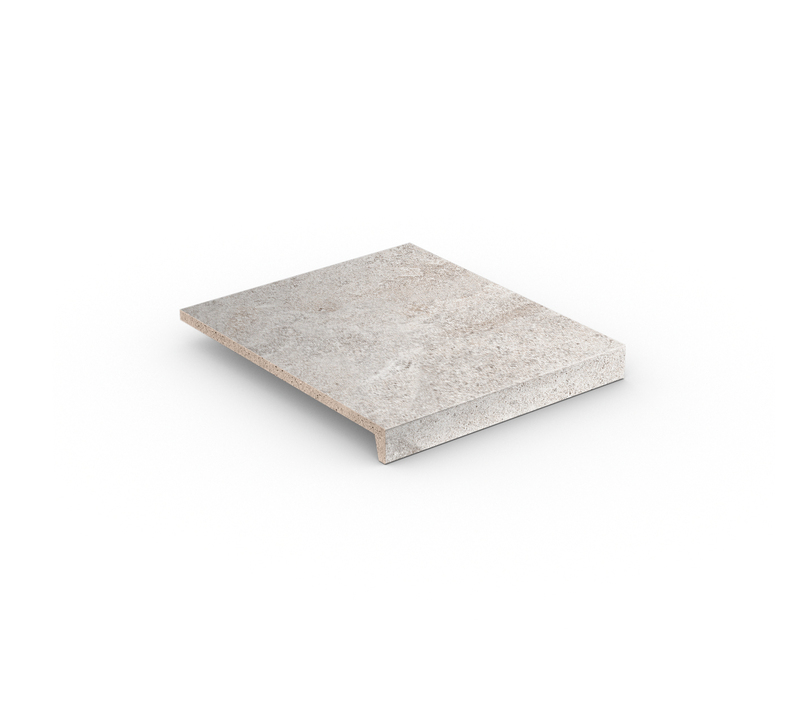 Modern, reduced linearity: loft stair tread tile® and loft angle tile®. The original. Ceramic outdoor floorings have to be installed in accordance with the respective German ZDB informational leaflet: "Outdoor flooring: flooring installation of buildings with tiling and paving", edition of July 2008. 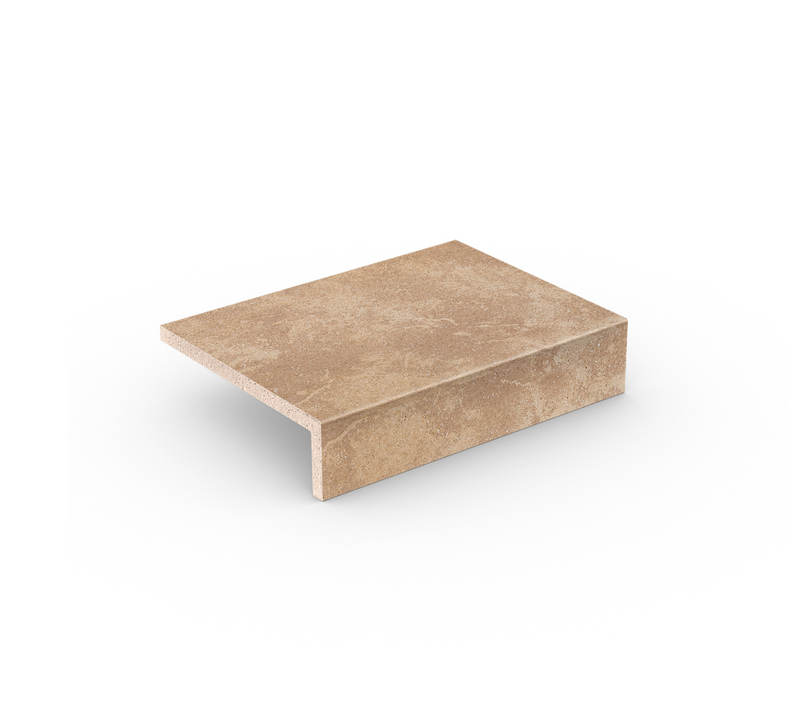 Always place stair risers behind the beading or behind the edge of the stair tread tile or angle! 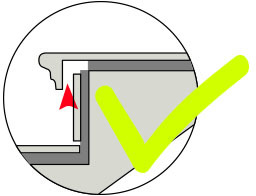 We recommend 1–2% of slope for water draining. 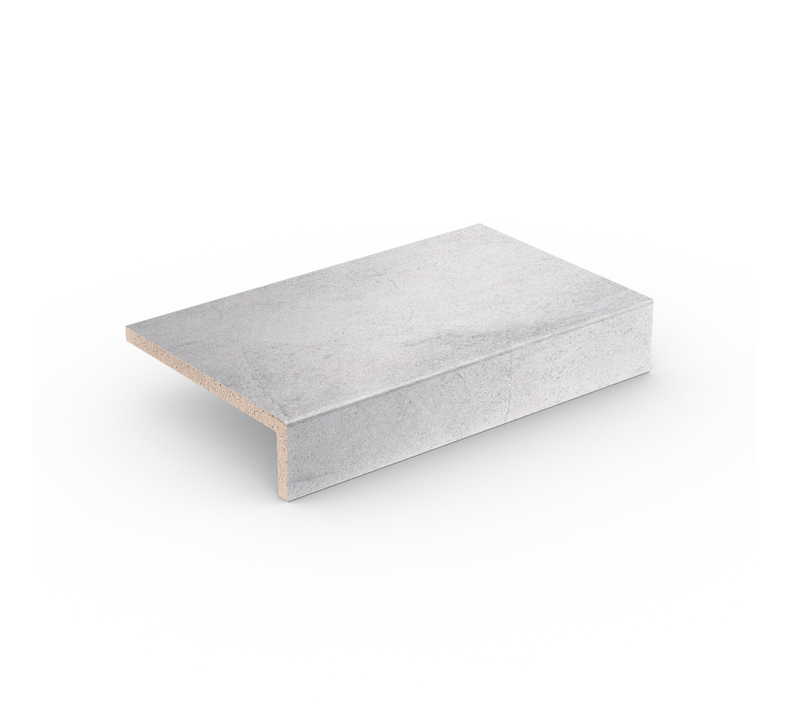 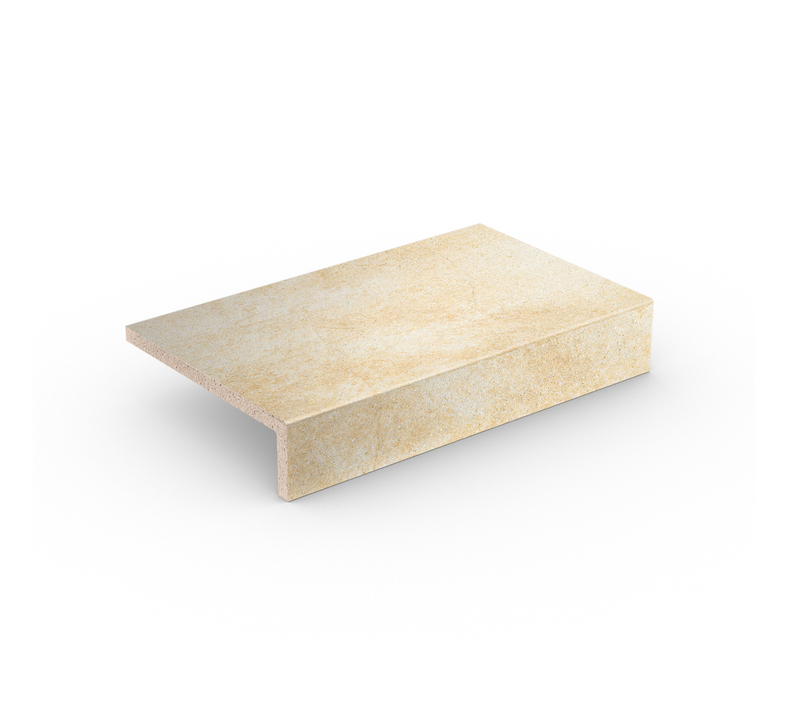 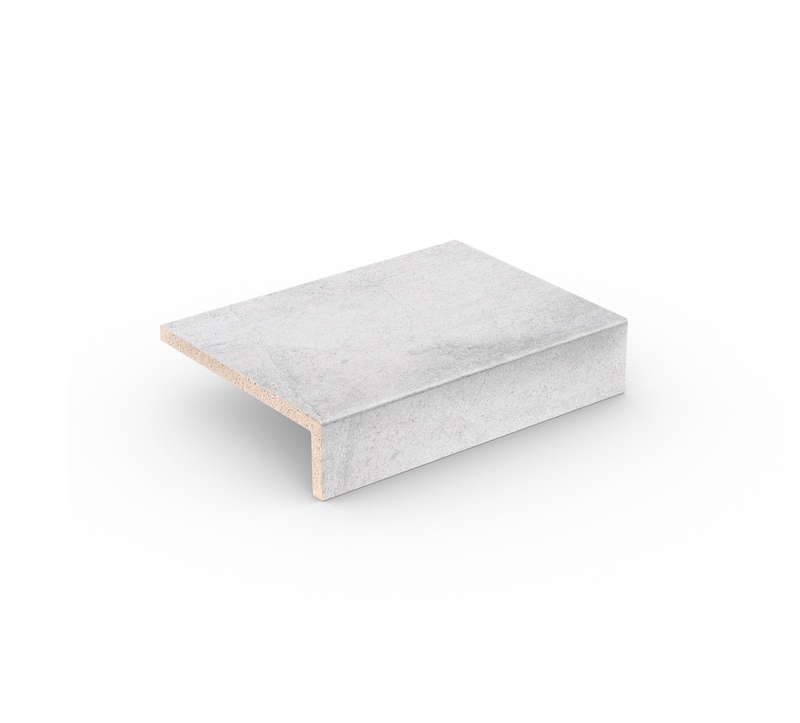 Leave a gap of 3–4 mm between the stair riser and the stair tread tile or angle. Do not grout. 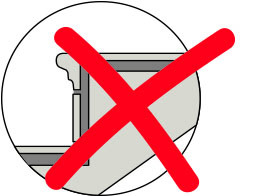 Not recommended for placing and constructional reasons. OUTDOORS, THE APPLICATION AND GROUTING OF BOTH THE STAIR TREAD IN CONNECTION TO THE RISER LEG LEADS TO DAMAGE FOR CONSTRUCTIONAL REASONS. 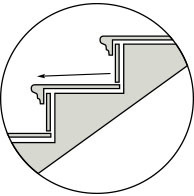 To ensure safe stair construction, the riser leg lead is to be positioned behind the stair tread or angle with a gap of 3–4 mm and they are not to be grouted together (see diagram (layout).